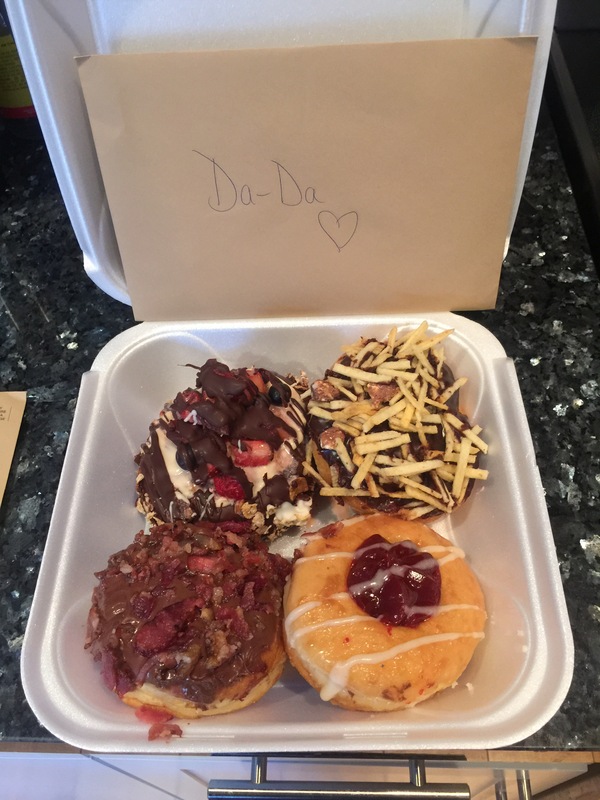 On the morning of my husband’s birthday, I made an early morning run to his favorite local gourmet donut shop to surprise him with a few of his favorite artery-clogging delights. With my baby on my hip, I ordered 4 of their most famous creations, including the 420-stoner donut and the super-Miami guava and cheese. “Now I see why Daddy loves these,” I whispered to Bella, as I got closer to the register. “Who the hell is Dave?,” I asked. I was floored. Flabbergasted. Verklempt. I hadn’t experienced such a random act of kindness since, well – NEVER. You see, it’s not that we couldn’t afford the $11 worth of my donuts for husbands birthday.- It was the fact that there is still extreme kindness left in this world. It was the fact that this Dave-Guy’s generosity put such a huge smile on face (all before 8am on a Saturday morning- nearly an impossible feat). It was the fact that my favorite personality trait, the one that gives me so much pleasure and satisfaction, is still alive and well out there, existing and living within other humans who still believe in the power of kindness. It’s what I’ll raise my daughter on. It’s what I’ll raise my daughter to exude. It’s what keeps this planet spinning. It’s what will, one day, heal the world. Thank you Dave- for the free donuts, but most of all, for proving me to that kindness IS real. It does exist, and it lives within all of us.